On his latest album, The Other, Kyle Thomas strikes me as a bit of a thinker. The King Tuff frontman sings about going on spiritual journeys, the afterlife, what’s real, and what it all means, man. It’s the sound of someone expounding dorm-room philosophy into an album-length thesis. When I talk to Thomas on a Thursday afternoon, it’s clear that this isn’t schtick. He really is a couch-bound version of Aristotle. Someone concerned with dissecting the universe, but only after his cravings for Hot Pockets and sub-par weed have been satisfied. For instance, I begin our conversation by asking him about those big philosophical topics and how often he ponders them. There’s a long pause — so long, in fact, that I think our connection is a bit shoddy or he just quietly hung up the phone. “[Music] just takes you to another place,” he repeats. “It seems to exist on some other plane. I guess I’m mostly interested in music as a medium between us and another realm.” However, instead of listing the early Pink Floyd records you’re probably assuming he spins, Thomas mentions how he was heavily influenced by jazz and avant-garde while he was recording The Other. If you’ve listened to any of King Tuff’s material, The Other will certainly sound like a departure. Gone are the hot licks of Thomas’ 2012 self-titled breakthrough LP as is the heavy glam influence found on 2014’s Black Moon Spell. Whereas those albums open with rip-roaring, power pop, The Other’s title track opener is a meditative dirge about Thomas hopping in his Subaru and taking a road trip in hopes of finding meaning in his life. Whereas past King Tuff records had a raucous, party feel to them, The Other sounds like the inevitable hangover after a bender — the point where you feel tired, dejected, and you start to wonder, “Well, what’s the point of all this?” It all feels strangely personal for a guy who was singing about being “Alone & Stoned” just more than a half-decade ago, but also like a perfectly natural progression in the sense that everyone tires of that lifestyle at some point. Thomas certainly reveals a lot. Loneliness and depression permeate a lot of these songs. He offers no real answer on how to deal with these feelings either; most of the time it’s just wondering about them aloud in hopes of reaching some sort of enlightened state. Despite the serious subject matter of some of the songs, there’s still fun to be had. On “Neverending Sunshine,” Thomas compares the brutal Los Angeles heat to being eaten by the sun itself. The throbbing bass and slinky guitar on “Ultraviolet” are reminiscent of early Primal Scream, and “Psycho Star” has a heavy disco influence that feels like a well-worn ’70s AM staple. When I mention the last point to Thomas, his voice perks up. “I look for things that are familiar even though they actually aren’t. It’s like when I started listening to The Beatles and I felt like I knew all their songs already.” Thomas says that this sort of musical déjà vu is key when trying to write a great song. It’s not necessarily a hot take on the afterlife, but it falls in line with the thinking that is so heavily engrained in The Other — that everything is just part of the journey. Life is short and we keep on moving, but Kyle Thomas will be damned if he doesn’t make the most of this pit stop. 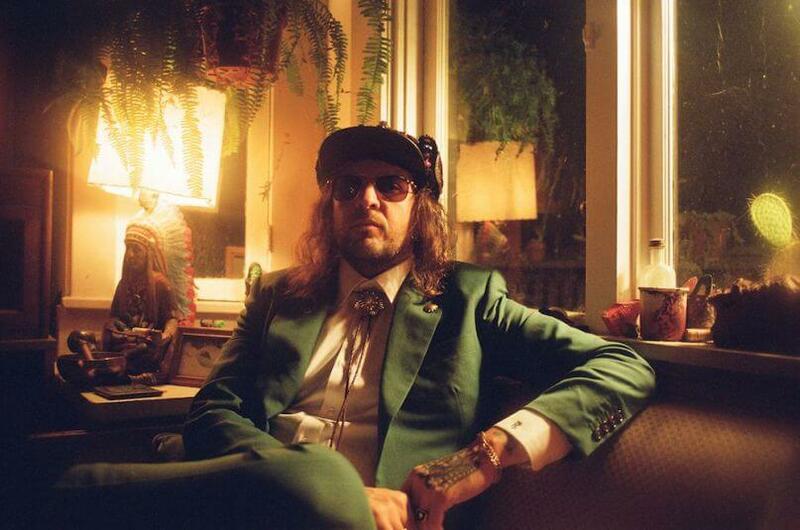 For tickets to King Tuff’s Feb. 1 show at the Slowdown, click here.